Amazingly, it’s already July. And, the start of the month means that it’s time for First Friday events. When the first Friday of the month comes around, it’s a good time to spend the evening in West Chester or Lancaster. 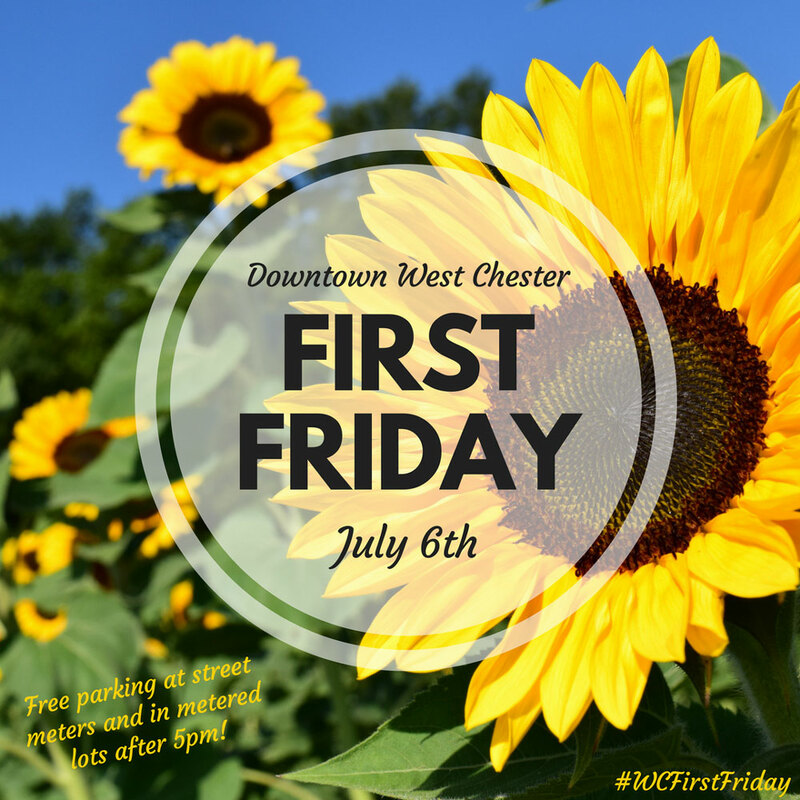 On July 6, West Chester will host its version of First Friday (downtown West Chester, http://www.downtownwestchester.com). First Friday activities will take place all day in the county seat and include great shopping opportunities and delicious food offerings. Stores are open late and many of them feature free refreshments and shopping specials. As an added attraction, there will be free on-street parking after 5 p.m. The remaining First Fridays in West Chester are scheduled for August 3, September 7, and October 5. Phoenixville also ramps it up for the initial Friday each month. On July 6, Phoenixville First Friday (www.phxfirstfriday.com) will fill the area around Bridge and Main streets with hundreds of revelers. Visitors to the event will be able to sample some of the region’s best craft brews, grab some local eats, shop at local boutiques, and listen to live music on the street. The featured Main Stage band will be Elle and the John Doe Band. Lancaster also hosts an ambitious First Friday celebration every month. This month’s edition of First Friday Lancaster (https://www.facebook.com/FirstFridayLancasterPa) will run from 5-9 p.m. on July 6 in downtown Lancaster. 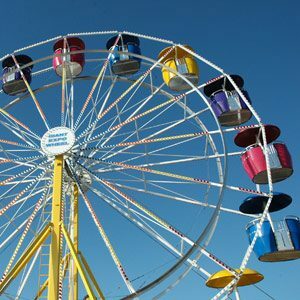 From July 10-14, the Malvern Fire Company Fair (Monument Grounds, Monument Avenue, Malvern, 610-647-0693, http://www.pa-carnivals.com/2018/malvern-fire-company-carnival-2018-malvern-pa/) will be held from 6-10 p.m. each night. The free event features rides, games and fun for the entire family and discount ride coupons will be available at local merchants. Guests can ride an unlimited number of rides at the 2018 Malvern Fire Company Carnival for just $20 per person per day when purchased online (https://www.innovativeticketing.com/Cart/) before July 10. Armbands are available for $25 at the event. As an added attraction, there will be a gala fireworks display on July 13 at 9:30 p.m. In the event of inclement weather, the fireworks extravaganza will be postponed to July 15. The event will feature interesting exhibitions at art galleries, artisan studios and museums. There will also be live performances presented in a variety of genres — professional theater, symphony orchestra and performing groups. This is the season to enjoy outdoor festivals celebrating fresh seasonal fruit — blueberry festivals and strawberry festivals in early July and peach festivals later in the month. This weekend, the blueberry is in the spotlight. 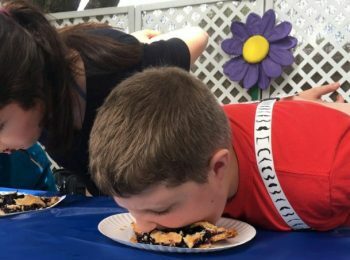 In 1999, the United States Department of Agriculture in 1999 proclaimed July as “National Blueberry Month.” To celebrate, Linvilla Orchards has been presenting its annual Blueberry Festival ever since. This year’s festival is scheduled for Saturday from 10 a.m.-4 p.m. There will be plenty of fresh blueberries that you can pick (starting at 8 a.m.) or purchase already picked. There will also be a wide array of freshly-baked blueberry treats available for purchase. The schedule features a full slate of family-oriented activities throughout the day including appearances by costumed characters, pony rides, face painting and a crafts area. The roster of entertainers includes Adam Monaco, Silly Joe, Maggie Pope and Sustainable Ritchie. Strolling costumed characters at the festival will be Traveling Train, Dr. Duck and Patrol Dog. Roasty Toasty will be at the festival from 11 a.m.-4 p.m. making those delicious ears of corn that Linvilla’s visitors have grown to love. 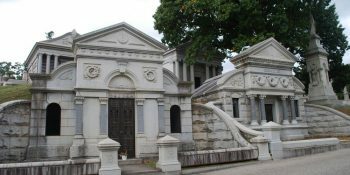 Those who dare are invited to join Laurel Hill Cemetery staff for an informative overview of Laurel Hill’s long and colorful history. The tour will include many of the marble masterpieces, stunning views and legendary stories that make the cemetery a special location. The walking tour will depart from Laurel Hill Cemetery’s Gatehouse entrance at 3822 Ridge Avenue promptly at 11 a.m. Tickets are $12 and there will be free parking in the lot across the street from the Gatehouse. 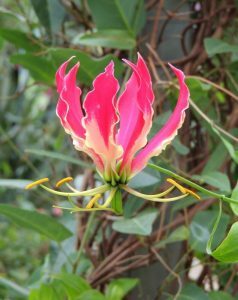 “The Hot Spots and Storied Plots” will be presented on fourth Fridays, January through November; and second Saturdays, May through October. Another activity at Laurel Hill this weekend will be “Gettysburg and Beyond: Laurel Hill’s Ultimate Civil War Tour” on July 7 at 10 a.m. The pivotal moment in the history of the American Civil War was the decisive Battle of Gettysburg, fought from July 1-3 in 1863, only 120 miles away from the home front of Philadelphia. Many prominent Philadelphians were engaged at Gettysburg, some losing their lives for the nation. The Union commander at the battle, General Meade, Division Commander General Crawford, Confederates, and many other officers and enlisted men who participated now rest at Laurel Hill. The tour will also highlight the important roles played by volunteer nurses, surgeons, civilians and supporters of the war effort, whom likewise lie under Laurel Hill’s perpetual care. 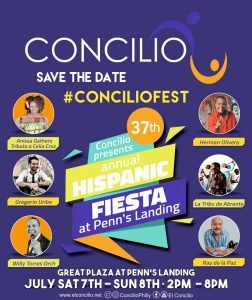 On July 7 and 8, it will be time once again for the Hispanic Fiesta at Penn’s Landing in Philadelphia (Delaware Avenue, Philadelphia, 215-922-2FUN, www.delawareriverwaterfrontcorp.com) — one of the oldest annual events in the Delaware Valley. This weekend, the tourist site along the Delaware River will host the 37th annual staging of the Hispanic Fiesta. Traditionally, the Hispanic Fiesta features authentic Latin American entertainment, crafts and cuisine. This year, the Hispanic Fiesta will present a wide selection of Latin music, including mariachi, salsa, bachata, merengue, samba, boleros and reggaeton. Additionally, the Fiesta will showcase artisan crafts and authentic foods from Puerto Rico, Cuba, Mexico, the Dominican Republic, Nicaragua, Colombia, and other parts of Latin America. 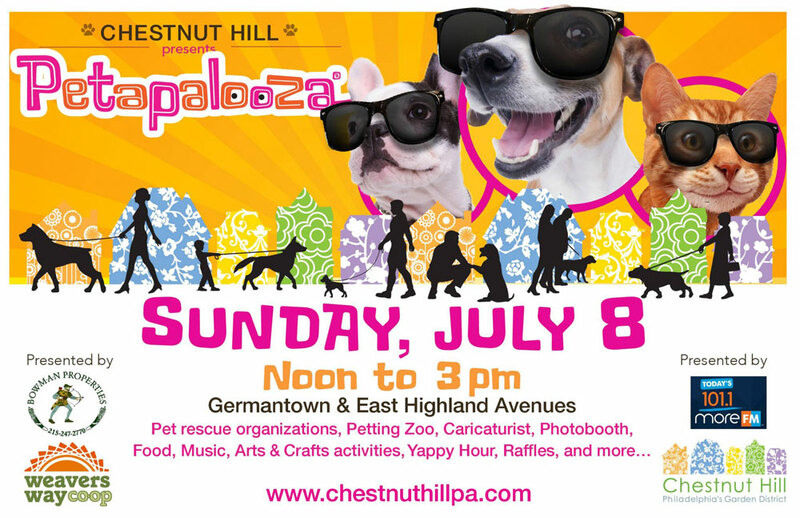 Hours both days are 2-8 p.m.
You can treat your pets to a day out on July 8 by taking them to a party geared for pets. 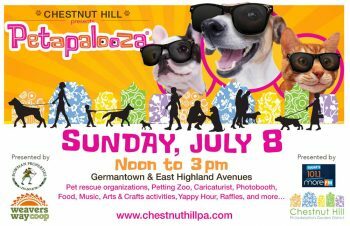 On Sunday, Chestnut Hill will host the Fifth Annual Petapalooza (https://chestnuthillpa.com/events/fourth-annual-petapalooza/) from noon-3 p.m. in the area around Germantown and East Highland avenues. The free event invites humans and their pets out for a full afternoon of events designed for dogs and cats — and their owners, too. Special pet-oriented activities include a paw reader, arts and crafts, a photo booth, live music, yappy hour and more. Activities will take place in the 8400 block of Germantown and along Highland Avenue. All exhibitors are located on East Highland Avenue. Chaddsford Winery (Route 1, Chadds Ford, 610-388-6221, www.chaddsford.com) will present “Wine Slushie Weekend” on July 7 and 8. The event’s live music schedule will feature Hake and Jarema from 11:30 a.m.-2:30 p.m. and Larry Roney from 3:30-6:30 p.m. on July 7 and The Little Red Rooster Blues Band from 12:30-4:30 p.m. on July 8. Featured Slushie flavors are “Prickly Pear” (made with Spring Wine), “Sour Apple” (made with Proprietors Reserve White), “Black Raspberry” (made with Chaddsford Red) and “Peach Bellini” (made with Chaddsford White). The “Wine Slushie Weekend” will have Mama Mia Truck as its featured food truck both days. 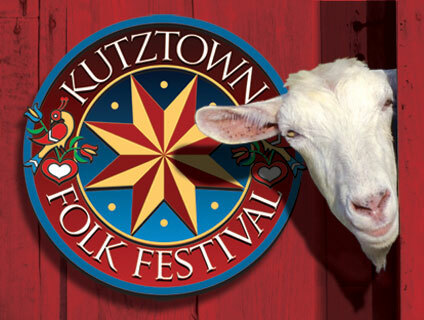 If you want to attend the 2018 Kutztown Folk Festival (Kutztown Fairgrounds, off Route 222, Kutztown, 888-674-6136,www.kutztownfestival.com), you still have time – but not much. This is the final weekend. The popular annual event runs through July 8. The Kutztown Folk Festival, which has been in existence for more than 50 years, is billed as a celebration of Pennsylvania Dutch culture. The multi-day event focuses on traditional crafts, food, music and folk life. The festival features country auctions, parades and bands, fiddling, live music and dancing, comedy, storytelling and historical seminars. Daily activities include displays of farming and gardening, churches and weddings, folk life, Pennsylvania Dutch dialect and folklore, furniture, spinning and weaving, country cooks and candle making. The festival also offers non-stop entertainment with country auctions, parades and bands, fiddling, live music and dancing, comedy, storytelling and historical seminars. Additionally, over 200 juried folk artists and traditional American craftsmen will be participating with both sales and demonstrations. There will also be a lot of attractions for children including puppet shows, make-and-take crafts sessions, visits with baby farm animals, real-life haystacks, story time sessions, a hay maze, sing-alongs and a variety of hands-on activities. 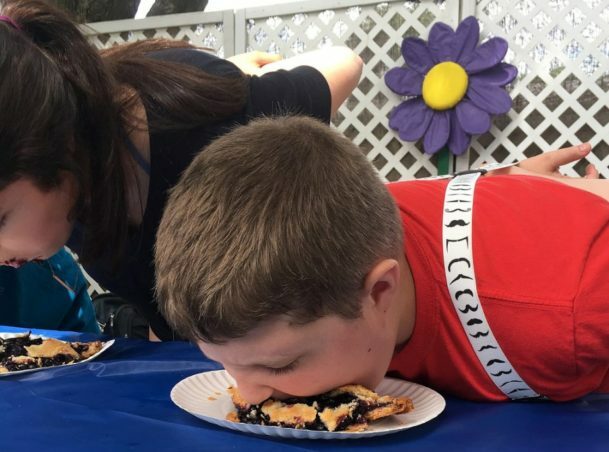 As always, there will be plenty of booths featuring Pennsylvania Dutch food treats and beverages, including family style feasts, shoo-fly pies, sausage sandwiches, pastries, country chicken dinners, strawberry shortcake, funnel cakes, ox roasts, sarsaparilla and chicken potpie. The festival will open its gates each day at 10 a.m. Admission to the festival is $14 for adults, $13 for senior citizens and $5 for students (13-17) with children (12 and under) admitted free. 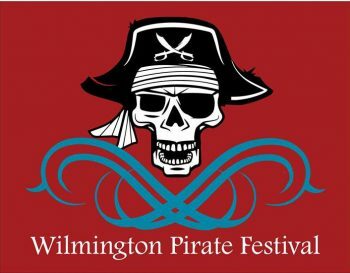 On July 7, the Kalmar Nyckel Foundation (1124 East Seventh Street, Wilmington, Delaware, kalmarnyckel.org) will present its popular “Wilmington Pirate Festival” from 10 a.m.-4 p.m. The free event will once again take place on the Wilmington Riverfront, but this year will be held at the Kalmar Nyckel’s shipyard and adjacent Fort Christina Park, where the original Kalmar Nyckel first reached land in 1638. 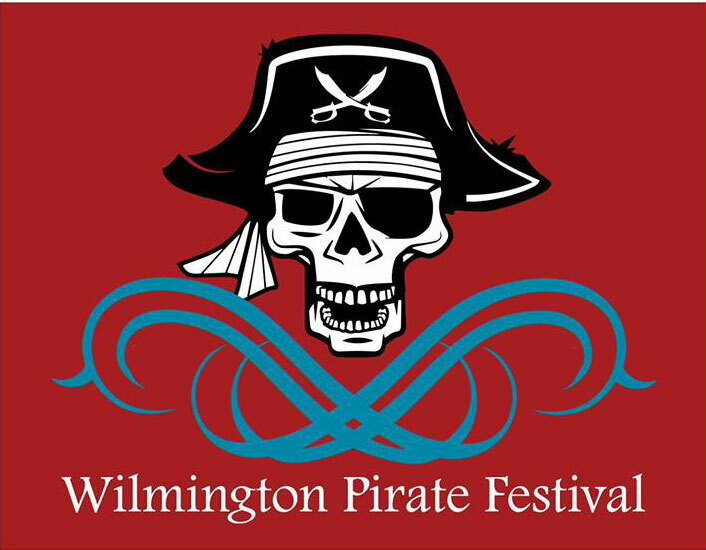 The “Wilmington Pirate Festival” will feature a day of pirate and maritime-themed activities offered on land, both at the Kalmar Nyckel’ s Shipyard and historic Fort Christina, and on the ship itself. The day of fun will include pirate history and lore taught by regional pirate crews, tours of the Kalmar Nyckel, scavenger hunts at historic Fort Christina, gun firing demonstrations, crafts, pirate face painting, costume contests, live music and food and drink vendors.